What are the causes of procrastination? Ways to beat procrastination? Everyone procrastinates...so how do you deal with it and get your work done? First, we must explore why we are procrastinating, and then we can talk about how to avoid procrastination. Make no mistake, overcoming procrastination can be done! Below you'll find the answer! On this page is an awesome infographic that explores the basics of procrastination as well as advice on figuring out the root of issue and then how to move forward from there. Enjoy! This awesome infographic from OnlineClasses.org is a nice visual introduction to procrastination! Causes Of Procrastination: Why Are You Procrastinating? The first thing we need to figure out is why you are procrastinating. Once we get to the root of the issue and identify your causes of procrastination, then we can address it appropriately. Tired? Learn more about the importance of getting enough sleep and improving your morning routine, so that you are ready to take on the day every day. Overwhelmed by the task at hand? Scroll down for details on breaking down large projects. Need help with time management? Scroll down for more on timelines and scheduling. One of the effects of procrastination is failing to complete projects. If you're hesitating to reach a goal or to even start working towards it, then you need to break it down into small, doable tasks. Let's say you have a goal of getting your entire house organized. Wow! That seems very overwhelming. Let's look at it another way. You want to get your whole house organized, and you're going to do it one room at a time. You're going to start with the kitchen since that is the room that effects you the most on a daily basis. You're going to get the kitchen organized by using the general organizing procedure and doing it in 30-minute periods of time until it's done. After that, you'll move on to the bedroom and so on. 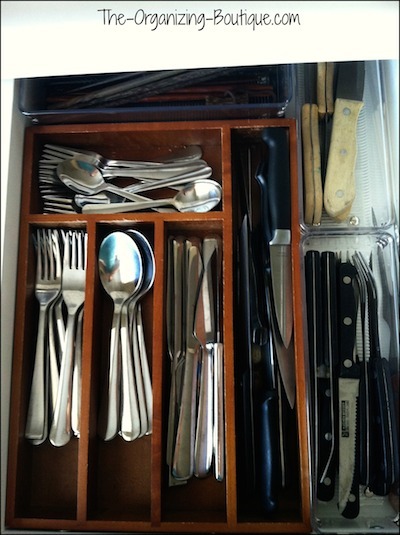 Thus, what are you more likely to get done today - organize the entire house or spend 30 minutes organizing this kitchen drawer? Whatever the task or goal is, break it down into tiny jobs that take 30 minutes or less to do (or whatever period of time you're comfortable with and are the most productive with). It's more likely that you'll get it done, and such a victory only encourages being more productive. The next step is to schedule time for these little tasks. Keep reading! If you're procrastinating because you feel like you don't have the time to get things done, then let's work on how you manage your time. First, you need to have some sort of calendar. This way you can keep track of appointments, events and due dates as well as block off time to get work or tasks done. Second, you need to actually schedule time on your calendar to get things done. Going with the previous example, if you're trying to get your house organized, then you need to block off time at least a few times a week to do the actual organizing. Since it's scheduled, you're more likely to stick to it and get it done. Third, be conscious of when you're scheduling these blocks of time. What part of the day are you the most productive? The most productive part of the day is when you should be working on this thing you keep procrastinating about. Fourth, if the project you're working on has a due date then start by putting the due date on the calendar. Then put deadlines for the small tasks that make up this project on the calendar. Lastly, fill in the blocks of time you need to work on the small tasks to get them done by their due dates. In summary and conclusion, break down your goals into small tasks, schedule them on your calendar and stick to it. Here's how to apply this to AND accomplish your goals of getting organized.